The bedroom does not look complete without a drawer dresser. 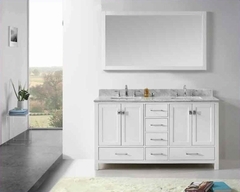 This drawer dresser from the Empulse collection has integrated panel drawers which is very difficult to find in quality furniture pieces. If you are truly a fan of cherry veneer then you should not let go of the opportunity to buy this master piece which is an important part of the Empulse collection. It has a rich merlot finish to it and has been designed to give a timeless appeal to the bedroom. This landscape mirror with a drawer dresser manages to attract your attention in the first look itself. The drawer dresser has six drawers where you can store all your important and useful items. You can also store items that you use on daily basis. 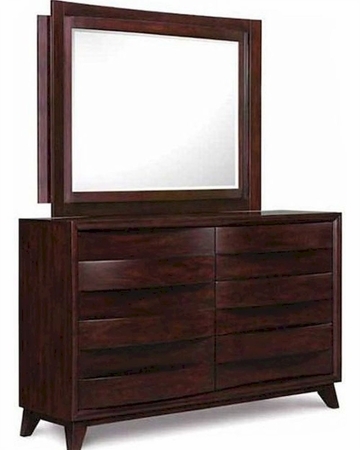 The mirror is surrounded with cherry veneer wood that has a rich merlot finish to it. You should buy this piece if you like to have good and sturdy pieces in your home. It will make for a classic addition to your home.